As a popular investment channel for foreign investors in recent times, mergers and acquisitions (M&A) secured Ho Chi Minh City US$6 billion in foreign direct investment (FDI) projects in 2018. Power and aviation companies are among the industries forecast for better things this year, according to industry analysts. Vietnam has begun officially exporting its mangoes to the US market, after the US Department of Agriculture (USDA) gave permission for the import of fresh mangoes from the Southeast Asian nation in 2017. The State Bank of Vietnam (SBV) has requested its chapters in the Mekong Delta and commercial banks to provide loans for rice procurement in the 2019 Winter-Spring crop, which is now in the prime harvest season in the delta. PM Nguyen Xuan Phuc, at a conference held in late December, said the localization ratio in the textile and garments, and footwear industries, has risen to 40-45 percent. Deputy Prime Minister Vuong Dinh Hue chaired a working session of the National Steering Committee on National Single Window (NSW), ASEAN Single Window (ASW) and Trade Facilitation (Committee 1899) on February 19, reviewing the committee’s operation in 2018 and discussing the direction for the 2019 tasks. The tra fish industry needs to focus on intensive farming this year to increase efficiency and sustainable development. As the domestic market is getting saturated, air carriers are opening international air routes as demand increases for inbound and outbound tours. The HCM City Department of Transport aims to have 75 percent of the new buses running on clean fuel by the end of 2020. Exports from the Czech Republic to Vietnam reached over US$140.7 million in 2018, an increase of 32.7% compared to 2017, according to the latest statistics released by the Czech Statistical Office. Prime Minister Nguyen Xuan Phuc chaired a working session with ministries and agencies in Hanoi on February 19 to discuss the acceleration of rice purchase as a way to improve income for farmers. A barber in Hanoi, Vietnam is marking the second summit between North Korean leader Kim Jong Un and U.S. President Donald Trump by offering free haircuts to anyone who wishes to copy either leader’s style. Vietnam hiked imports of crude oil in January and raised exports for the first time in more than a year, preliminary data released Monday by Vietnam Customs showed. A soft launch of the first phase of a new multi-billion dollar casino resort being backed by Suncity Group Holdings in Vietnam is coming this fall, GGRAsia report. Several US toy makers intend to move their production facilities in China to other markets, including Việt Nam, due to concerns about negative effects of the US-China trade war. Việt Nam’s benchmark VN-Index advanced on Tuesday thanks to strong growth of large-cap stocks such as Vingroup (VIC) and its property arm Vinhomes (VHM). Quảng Trị Province People’s Committee recently gave its approval to two companies to develop wind power projects worth a total of VNĐ5.2 trillion (US$221.2 million) in the central province. Minister of Culture, Sports and Tourism Nguyen Ngoc Thien talks to Vietnam News Agency about the country’s 2018 performance and plans for the new year. 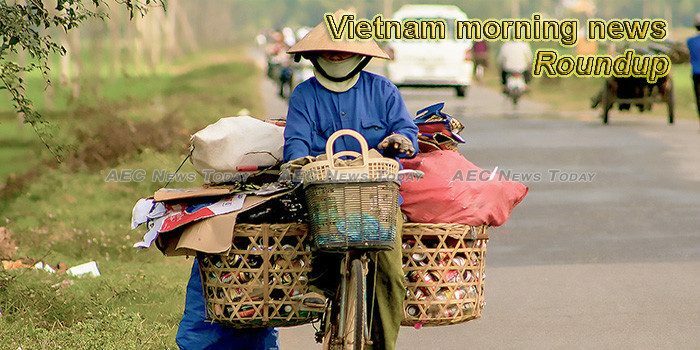 HANOI, 20 February 2019: Hot on the heels of announcing 15.5 million tourist arrivals for 2018, Vietnam reports arrivals in January this year were estimated 1,501,766 up 5%. Last year may be considered a good year for Vietnam’s rice export sector. There remain complicated issues to address, though. In 2019, Vietnam’s forestry sector will foster the implementation of forest development policies and the building of a production chain, said Vu Xuan Thon, head of the Management Board of Forestry Projects under the Ministry of Agriculture and Rural Development (MARD). Resort and recreation complex Grand World Phú Quo’c makes its debut today, promising to not only become a destination for tourists coming to Phú Quo’c Island but also offer attractive investment opportunities.